Rapper who made a name for himself competing on the second season of the Mnet survival show Produce 101. 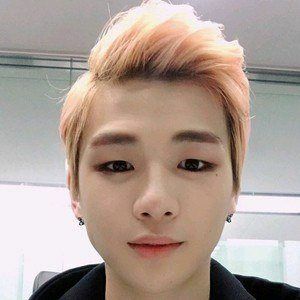 He went on to form the boy band Wanna One in 2017. He began his career as a backup dancer for a number of B2M Entertainment artists before appearing on Produce 101. In March 2017, he performed at Nexen Heroes vs. LG at the Gocheok Sky Dome in Seoul, South Korea. He was born Kang Eui-geon in Busan, South Korea. Some of his fellow Produce 101 competitors included Park Ji-Hoon and Hwang Min-hyun.